Visit Sea Life Benalmadena, Bioparc Fuengirola, the Garden of the Eagles, the Butterfly Park, the Crocodile Park and go on safari at Selwo Aventura..
Sea Life Benalmadena is an interactive aquarium, taking visitors on a journey through marine life, including everything from colourful fish to seahorses, sea turtles, piranhas and moray eels. 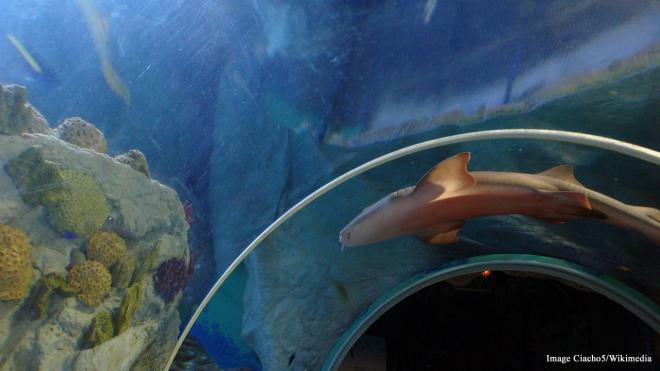 Visit octopus, jellyfish, sharks and the aquarium’s friendly otters, Oscar and Maya. There is an opportunity to make friends directly in the touch pools, feed a ray or enjoy a 9-hole round of mini golf. Take an enjoyable cable car ride up Mount Calamorro to visit this fascinating Birds of Prey Centre, 250m above sea level. Besides strolling the rocky walkways and enjoying the panoramic views, visitors can enjoy watching the majestic raptors as they take to the sky, always under the supervision of multi-lingual and expert handlers. Among the birds are a rare condor, eagles, owls, kites, falcons and vultures. In the video you will see a plane landing at Malaga airport, from above!